1 September: With a friend from Bellingham, we headed to see if we could cross the Middle Fork of the Nooksack River and hike up Ridley Creek. 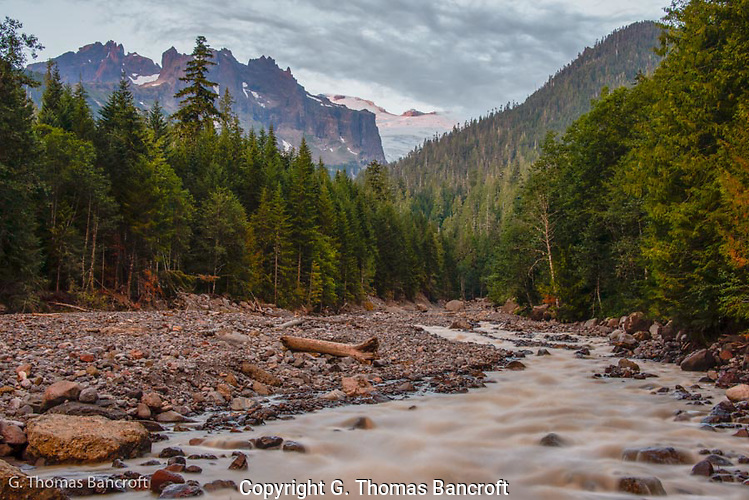 In late May, a large debris flow flushed from the Deming Glacier. A USGS geologist estimated that the flow was 15 feet deep and 150 feet wide and the consistency of wet cement. Boulders up to 14 feet in diameter washed down the river and the flow tore out trees along the banks. Several subsequent smaller flows continued to remake the channel. The Mt Baker Ultra Marathon of 1911, when racers ran from sea level to the top of Mt Baker, ran up the Ridley Creek Trail. Some are hoping to reenact the race next year. Fortunately, someone built a small bridge consisting of a 6-inch log with a 1-inch log railing across a narrow spot in the stream. We inched across this wobbly bridge and then dropped down to see Ridley creek near its confluence with the muddy Middle Fork. 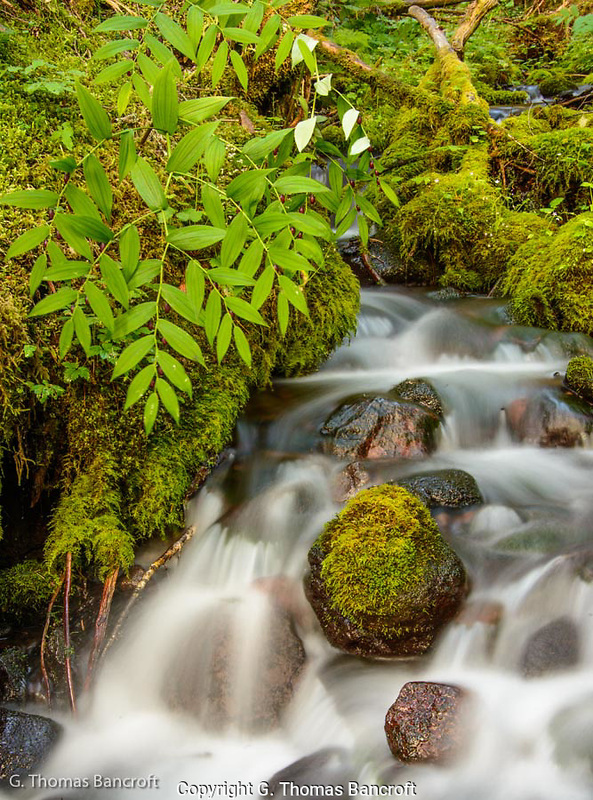 The water ran crystal clear through the creek and a hatch of insects rose from the water. For twenty minutes, I watched an American dipper hawk insects from a rock in the middle of the stream. It sat staring all around itself and would suddenly bolt up to an overhanging leaf or to another rock, grab something and then settle back on a rock. My friend caught and released a few trout but few bit at his casts, probably because they had eaten many insects already. We hiked several miles up the Ridley Creek Trail through a wonderful primeval forest of hemlocks and silver firs. Many living trees were 3 to 4 feet in diameter. Ferns, moss, trees and mushrooms grew from dead trees everywhere. Relatively fresh logs to ones in the final stages of decay dotted the understory. We saw numerous impressive dead snags. A pileated woodpecker had heavily worked one snag. Wood chunks were spewed across the ground and the snag contained large holes where the bird had dug out larva. Many hemlock and fir bases had buttresses showing they had started their life on a long rotted log. 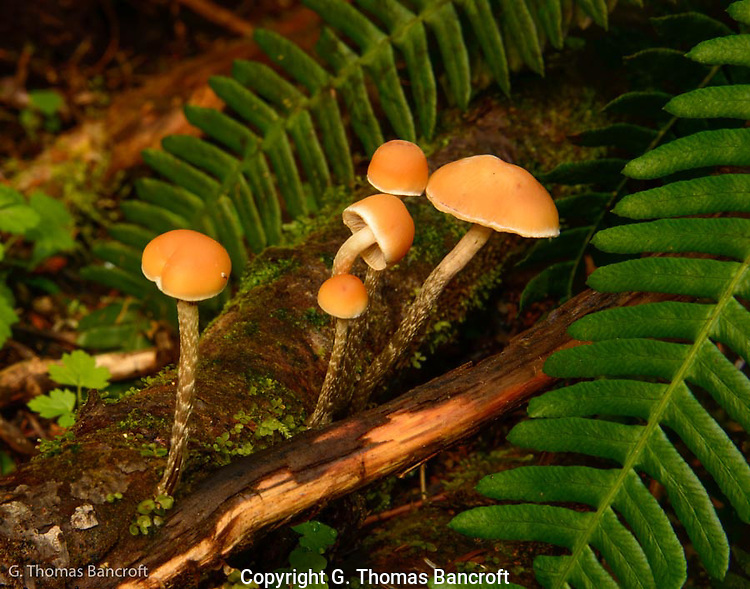 The rain of the last few days stimulated the growth of mushrooms everywhere. We saw more than a dozen species. We could see a long ways through the open understory. In a few places where tree falls had opened the canopy we found thickets of young hemlocks vying to be the next monarch in this marvelous forest. We found a small creek, the headwaters of Ridley Creek, several miles up the trail. Mosses covered every rock, log, root, and bank of the creek. 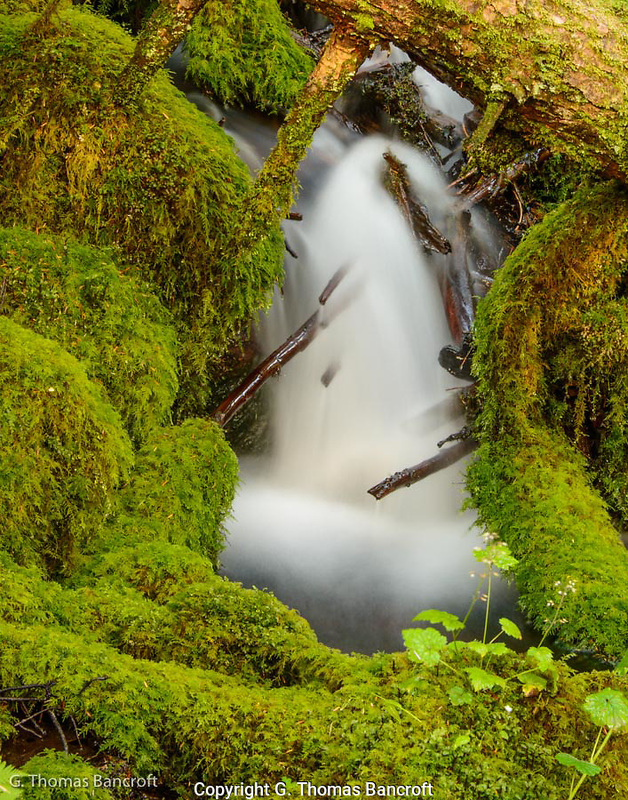 In places, the creek disappeared under moss covered bridges to reappear a foot or two down stream. 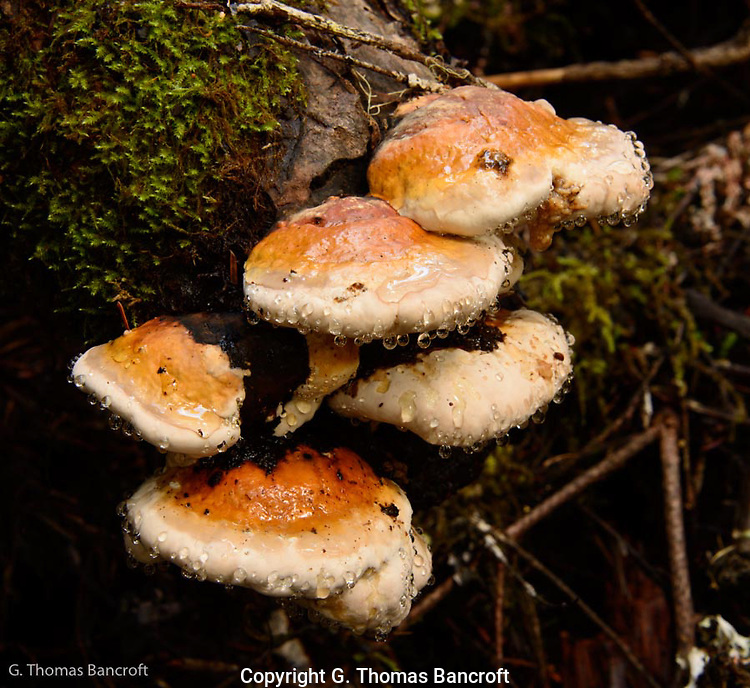 The air was moist, damp and musty and off the trail, the forest floor was spongy from the thick moss and leaf litter. We heard several flocks of kinglets and chickadees, saw a Swainson’s thrush and heard a young varied thrush attempt a few whistles. On our way back to the trailhead, I sat beside the middle fork for half an hour before we crossed. You could hear rocks tumbling down the riverbed with the force of the current flow. I doubt anyone could successfully wade across the creek right now. 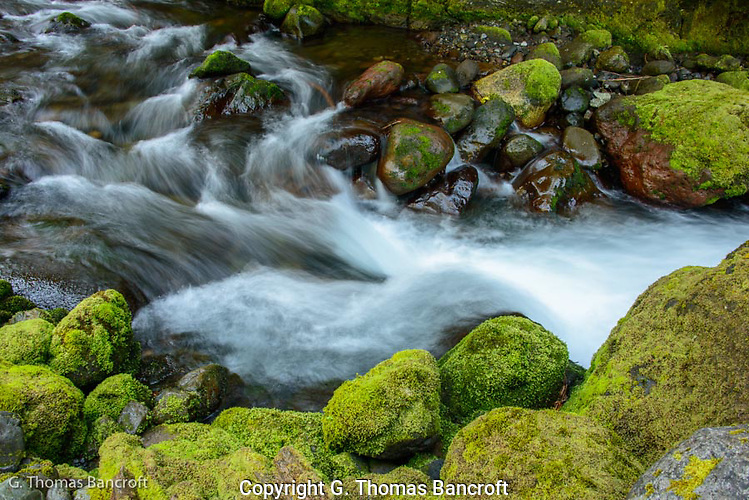 The combination of rushing water, unstable rocky bed, and moving rocks would knock you over. I loved thinking about wild nature at work shaping this wilderness landscape. As dusk fell on the river, we crossed the wobbly bridge and headed for home, relaxed from a great day in the wilderness. Sounds like you’ve had an exceptionally wet time of it or is that water flow always that strong? We have had a lot of rain in the last few weeks. Also, the warm weather has increased the snow and ice melt from above these areas. Thomas! Just found this story. You should go see the trail now. New log bridge and not one tree across the trail. We are in the middle of rebuilding the trail now. Thanks, Daniel, I will check out the trail again. Loved that hike, it is a beautiful area in the Cascades. Are you working to redo the race up the trail? I didn’t make it up to the alpine area, saw too many things to stop and photograph on the way.